Enjoy a guaranteed room upgrade and discount on food and beverages purchased at the hotel! Conveniently located in the heart of the action for sightseeing, and with great transport links, the Hilton London Paddington hotel provides the ideal base from which to explore one of Europe’s most exciting cities. Buckingham and Kensington Palaces are within walking distance of this London hotel. 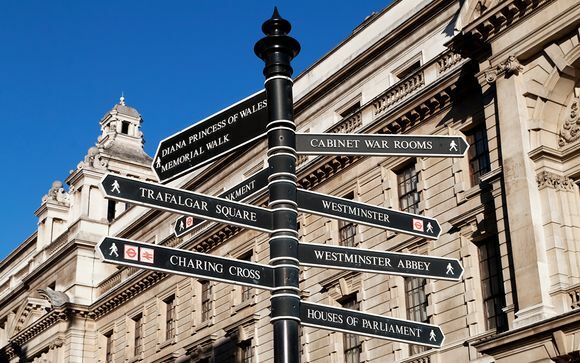 Discover the West End’s shopping, nightlife and Theatre District only a ten-minute drive from the Hilton London Paddington hotel. Visit the world famous Madame Tussauds or view London from the 135-metre London Eye. Take a guided tour of the famous Tower of London. 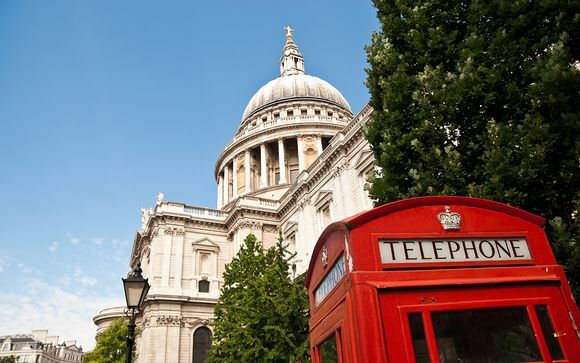 Visit St Paul’s Cathedral and the iconic Tower Bridge. View the Houses of Parliament and the iconic Big Ben or enjoy a relaxing stroll to Hyde Park. London boasts a variety of art galleries, exquisite restaurants and word class shopping to suit all tastes. 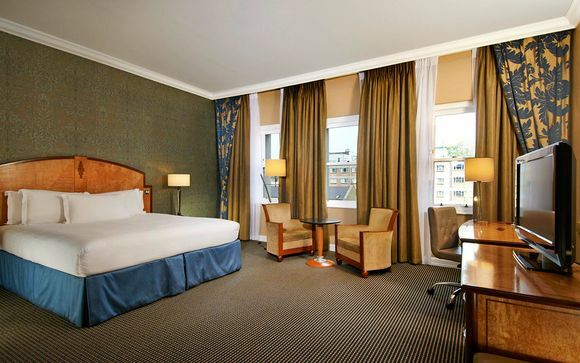 Enjoy a rewarding stay at the Hilton London Paddington hotel. Perfectly positioned in the heart of London, this Paddington hotel allows you to unwind and relax in style before discovering London’s most popular attractions. Enjoy a memorable dining experience in the celebrated Brasserie Restaurant and experience the hotel's diverse menu with continental influences. Enjoy dinner or a late night drink in the chic Steam Bar. This modern bar’s sleek décor provides a contemporary feel and a relaxed atmosphere. The cancellation terms differ to those outlined in our terms and conditions and are likely to result in 100% loss of monies paid in the event of cancellation. This is certainly the case if cancelling within 7 days of your arrival date. Stay in a sophisticated Executive Room which boasts all of the modern facilities and amenities one would expect from this renowned brand. Guests can enjoy complimentary Wi-Fi in the room and public areas as well as access to the Executive Lounge, where you can enjoy complimentary refreshments throughout the day! Just for you: 20% discount on food & beverages purchased at the hotel. Lounge – Settle into one of the hotel’s comfortable chairs and enjoy a light snack with friends. Stay connected with high speed wireless Internet or catch up on live news and sports on the TV. Steam Bar – Enjoy a lively atmosphere in the Steam Bar, the ideal place to unwind. Enjoy a wide selection of cocktails and mouth-watering snacks at this Paddington bar. The sleek chrome decor and long wooden bar create a contemporary feel. The Brasserie – Enjoy locally produced English ingredients with an Asian influence at the Hilton London Paddington. Open for breakfast, lunch and dinner, this Paddington restaurant boasts a menu selection to suit all tastes. Enjoy dishes like Malai monkfish tikka or fillet of Cornish rainbow trout in a dill lemon butter sauce before retiring to the Steam Bar for a nightcap. The nearest London Underground station is Paddington, under a minute walk away.